Melt Tension Away in the Splendor ®. 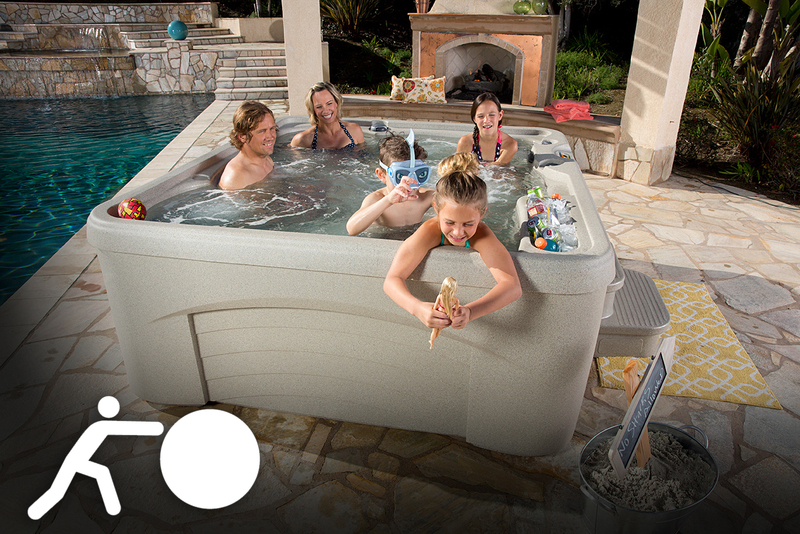 The Splendor features barrier free seating perfect for a solo soak or conversing with four of your closest friends. 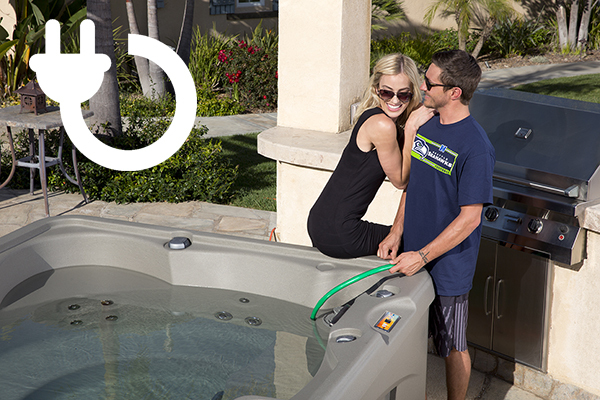 The built in diverter valve allows you to get a personalized massage from the jets or enjoy the whirlpool feature. Feel tension melt away as you watch the multicolored LED light illuminate the warm water. This hot tub is by Fantasy Spas. Outlets can run, but they can’t hide! Find an outlet, plug it in, and fire up your Fantasy spa lickity split. Unibody, lightweight shell so you don’t even need 10 people to help you carry it on your next camping trip to Mt. Everest. Keep the temperature high, and the electric bill low with full foam insulation and a locking thermal cover. 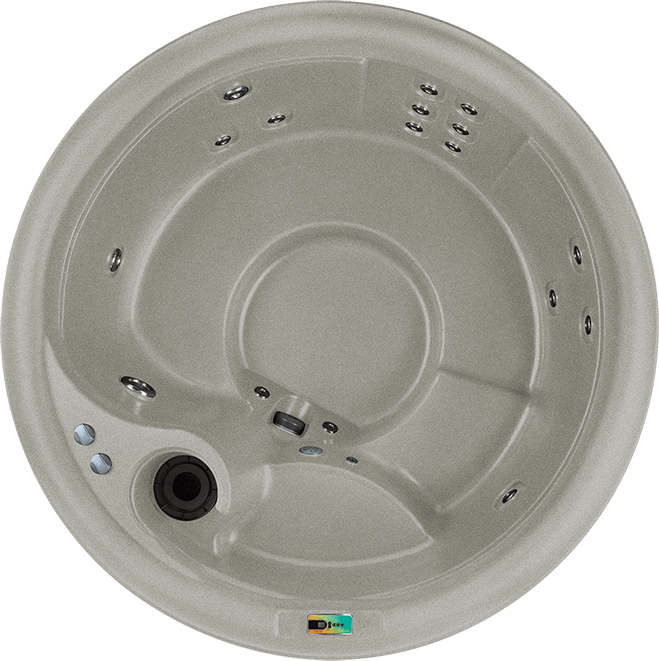 6' 6" x 6' 6" x 34"
Every Fantasy Spa comes with a 5-year structure warranty, 5-year shell/surface warranty, 1-year equipment warranty, 1-year labor warranty, and 1-year plumbing warranty.